The International Society for Technology in Education (ISTE) and General Motors (GM) have partnered on a multi-year initiative that includes professional learning for teachers and hands-on school based pilots. 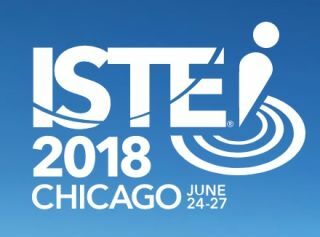 More than 25 districts have benefitted since work began in September 2017, and both educators and students from some of those districts are showcasing the results at ISTE 2018, June 24-27 in Chicago. - Educators from Arizona, California, Georgia, Illinois and Michigan participated in a new 10-week online course that focused on how AI can facilitate learning and solve problems in schools and communities. - Educators from schools in Massachusetts, New Jersey, Oregon, Virginia and Wisconsin introduced AI chatbots to students. Students were then challenged to program an AI chatbot solution for a classroom or schoolwide need. - Development of an online course, Artificial Intelligence Explorations and Their Practical Use in Schools, focused on AI for learning, project-based computer science (CS) learning and next generation skills. In the upcoming school year, this course will be offered to over 600 teachers, technology coordinators and instructional coaches. ● Exposure to AI and machine learning research and development. ● CS and engineering career awareness explorations. ● Hands-on workshops and mentorship. ● Networking with experts who share insights and industry knowledge. An important goal of the program is to provide exposure and awareness of AI/STEM career opportunities to underserved student populations. To achieve this, ISTE recruited schools with STEM initiatives serving underrepresented students. Organizers also aim to develop an AI teacher and student coaching and mentorship network with the active participation of AI experts from corporate research and development teams (including GM), STEM higher education faculty and K-12 subject-matter experts. ISTE’s work on AI continues with the upcoming release of Teaching AI: Exploring New Frontiers for Learning, a book that explores what AI is, how it works and how educators can use it to better prepare students for a world with increased human-computer interaction.